Phone the vicar to talk about getting married. Vows as important as wedding vows are best made in church. It is now possible for many people to marry at St Andrew’s even if they do not live in the parish. 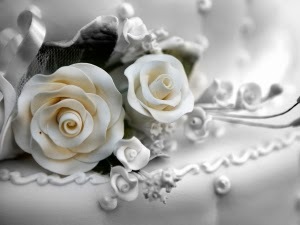 Why not visitwww.yourchurchwedding.org for lots of useful background information. For 2014 the cost of a marriage service with organist and verger and the reading of banns comes to around £500, and we take bookings up to a year in advance. Each year in the early springtime we offer a Marriage Preparation Session on a Saturday morning to all the couples who have booked a wedding in one of our group of churches. This is a light hearted look at some of the things which can sometimes be problematical between couples, like in-laws, money and decision making. There are no ‘right’ answers, but if you find yourselves with very different answers…better to talk it through before the wedding. We are happy to conduct funerals or memorial services for anyone, either in St. Andrew’s Church or at a crematorium, even if the person who has died did not attend church. You can make direct contact with the vicar or the undertaker will contact us on your behalf. Baptism is the sacrament of Christian initiation, of joining the church. It is sometimes known as ‘Christening’. If you are interested in baptism for yourself or for a child, come along to some of our 10.30 am Sunday services to get the feel of life at St Andrew’s, and then talk to the vicar. Baptisms are offered on six Sundays a year, in our 10.30 am Sunday service. The birth or adoption of a child is a cause for celebration. Many people are overcome by a sense of awe at the creation of new life and want to express their thanks to God. This service provides an opportunity for parents and families to give thanks for the birth or adoption of a child and to pray for family life. It may be a private celebration at home or in hospital, or it may be a public celebration in church, sometimes with a number of children. At St Andrew’s Thanksgivings usually take place in the Sunday morning service. They are particularly suitable for parents who want to celebrate the birth of a child but who do not want to make promises on behalf of their child, recognising their child’s right to choose to become a Christian for themselves when old enough. This service is not the same as Baptism (sometimes called Christening), which is the sacrament of initiation into membership of the Church, the Body of Christ. If you are interested in exploring the Christian faith, or finding out more about preparation for Baptism, ask the vicar.